There's a new show in town and they call it Superhero! Mysteriously Yours, Toronto's only interactive murder mystery dinner theatre, has done it again with one of their best shows yet. The setting: a superhero convention. The characters: celebrities, superheroes and special guests. Out of all the shows I have seen thus far (and I have been to quite a few), this one is neck and neck with my all-time favourite: Apprentice to Murder. 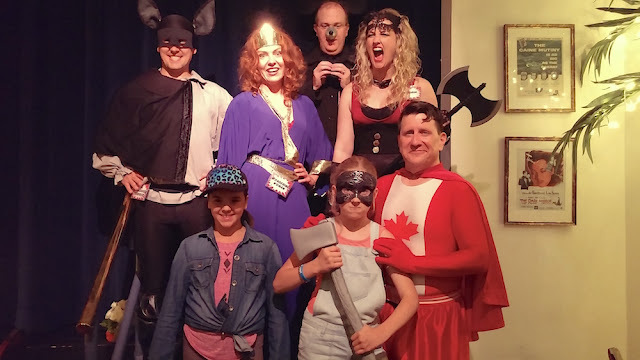 Returning cast members include Pierre Alain Trudel as Douglas Fuhr and the extremely polite Canadian Shield, Stephanie Folkins as the boisterous Axoria, Simon Esler as the incredibly cute Chihuahua Furioso, and Birgitte Solem as Frozina. Appearing through the courtesy of Canadian Actors' Equity Association is Precious Chong as holistic health nut Wondering Woman. If you think she is at all related to Tommy Chong of Cheech and Chong, you'd be correct. She's his daughter! You may have also seen her at the NXNE Festival in 2013, attended one of her comedy shows, listened to her podcast or have read her column Being Precious on bunchfamily.ca. See, she's a superhero in real life, too! Last month, my daughter and I were invited to the VIP opening of Superhero. While the food was less than spectacular, the comedy and the performances certainly made the night a hit. I have to hand it to the cast for clearly giving it their all and running with the improvised scenes as well as they did. This was the first time I brought my daughter, who is ten years old, and she had an incredible smile on her face the entire night. 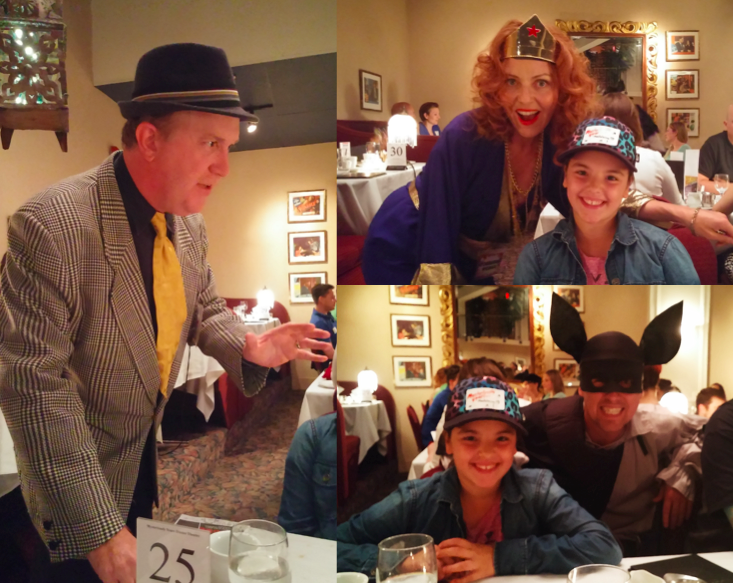 She loved interacting with all of the characters that came to our table and correctly identified the murderer. Me? I loved listening to El Chihuahua Furioso speak with his dreamy Spanish accent. ¡Ay, ay, ay! In short, this is one show you don't want to miss. 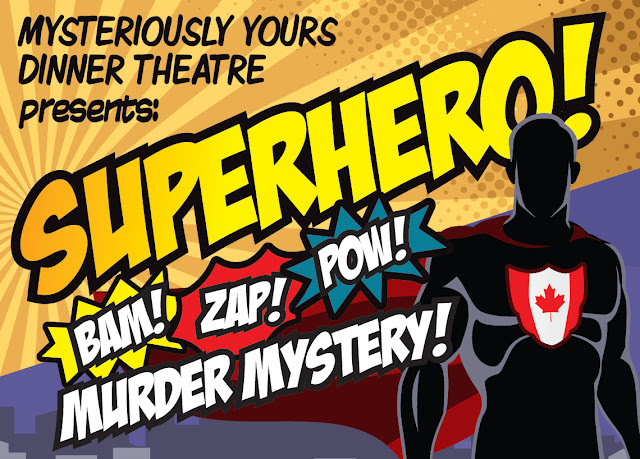 Visit mysteriouslyyours.ca to get your tickets soon. The show won't be on for long; a new one comes to the theatre November 2015. Still on my list of places to go! Dinner theatres are a blast. This looks like so much fun! I would love to do this.